On Thursday I added a new qualification to my CV! I am now officially a fully qualified Operator-Loader dustman! As part of my research for my next Roy Grace novel, I worked an eight hour shift, from 6am to 2pm on a team on a Brighton refuse truck, emptying garbage bins in the Queens Park and Whitehawk areas of the city. I wanted to know firstly, how a bin man might discover a body, or body parts on his (or her) round. And secondly, would it be an effective way to dispose of a body, in the mechanical crusher in the refuse trucks. But of course, we had to stumble on a real life crime scene….!!! I couldn’t’ believe my eyes when one of the men shouted out, ‘Hey, Peter, look down there, that’s just up your street!’ And it was, literally… There was a scene guard outside a house, crime scene tape, a SOCO van, several police cars and several unmarked cars, as the crime scene literally unfolded in front of me. It turned out to be a man suspected of throwing petrol bombs into his neighbour’s garden…. Then it was back to work. I’ve come away with some great ideas for the book – and with almost every muscle in my body aching. 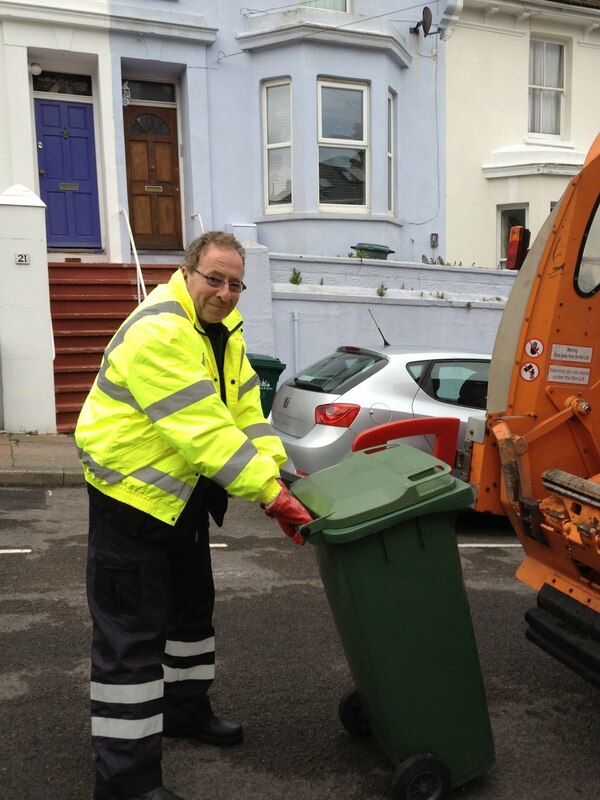 I never realized what hard physical work it is to be a bin-man. They were all absolutely delightful and very welcoming – and they were particularly pleased with me, because of having an extra man on board, working, they finished nearly an hour early. Respect!! !